"This band's bouncy rhythms and soulful melodies carry potent messages of social justice"
Virginia's finest reggae outfit presents a refreshing blend of reggae, hip hop, latin and rock music with lyrics that reach out to humanity, spreading their message of community and positivity. Their songs evoke beachy summers and peaceful coexistence, and it seems Soja's fellow humans can't get enough of their sound - they've achieved an international cult following through dedicated touring, selling over 150 000 albums along the way. 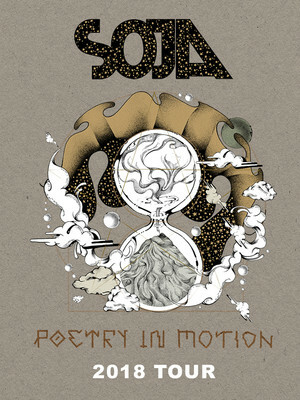 This year sees Soja hitting the road, on a month long outing, in support of their recently released album 'Poetry in Motion'. The tour which kicks off in Raleigh will see Collie Buddz, Twiddle and Xiuhtezcatl coming along for the ride on select dates. Sound good to you? 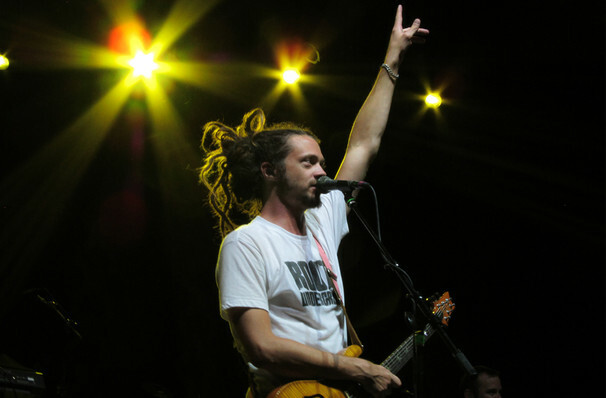 Share this page on social media and let your friends know about Soja at Stubbs BarBQ. Please note: The term Stubbs BarBQ and/or Soja as well as all associated graphics, logos, and/or other trademarks, tradenames or copyrights are the property of the Stubbs BarBQ and/or Soja and are used herein for factual descriptive purposes only. We are in no way associated with or authorized by the Stubbs BarBQ and/or Soja and neither that entity nor any of its affiliates have licensed or endorsed us to sell tickets, goods and or services in conjunction with their events.